Roaring Lion and Saxon Warrior are on course to meet for the sixth time in Saturday's Qipco Irish Champion Stakes at Leopardstown. Having finished behind Saxon Warrior in the Racing Post Trophy last season and the 2000 Guineas in May, John Gosden's Roaring Lion has enjoyed the better of their subsequent meetings. He finished in front of Aidan O'Brien's Deep Impact colt in the Derby, got the better of him in a terrific tussle for the Eclipse and then had him a fair way behind when winning the Juddmonte International at York. O'Brien could also run Deauville, Rhododendron, Seahenge, Athena and Magical. Jim Bolger has Verbal Dexterity in contention and will be looking to him to improve on a pleasing comeback at the Curragh having won the National Stakes on this weekend 12 months ago. Adding an international flavour is the French Derby winner, Study Of Man, who finished third behind Knight To Behold in France last time out. The only other possible is William Haggas' Addeybb, who began the season with wins in the Lincoln at Doncaster and a Group Two at Sandown before finding the ground too fast in the Lockinge. 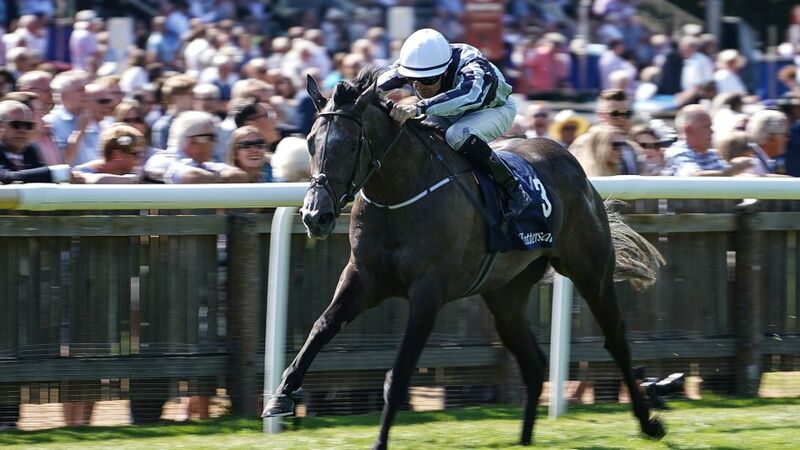 Alpha Centauri is the star name among 16 fillies confirmed for the Coolmore Fastnet Rock Matron Stakes at Leopardstown on Saturday. Jessica Harrington's three-year-old has arguably been the star of the season so far, winning the Irish 1,000 Guineas, the Coronation Stakes, the Falmouth Stakes and the Prix Jacques le Marois. The daughter of Mastercraftsman will be a red-hot favourite to extend her Group One tally to five on the opening day of Irish Champions Weekend. Aidan O'Brien has seven remaining contenders including Rhododendron, Magical, Happily and Athena. The potential British challenge is headed by Karl Burke's star filly Laurens. Burke has also left in Ellthea, while Mick Channon could send Dan's Dream across the Irish Sea. Dermot Weld's impressive recent Cork scorer Making Light is also in the mix.